If you’re tired of your dogs destroying your lawn and cleaning the mud off your pets, Indoor Pet Turf will relieve some of the stress pet owners have. Weather you have one small lap dog like a poodle or a large breed like a great dane, our indoor pet turf will stand up to the wear and tear of their lifestyle. When shopping for artificial pet turf for your dogs, it is very important that your turf has a high flow drainage system. Efficient drainage ensures that the grass stays dry and clean, no matter how often you pet uses it. Nobody has a faster and cleaner drainage system than Custom Turf Outlet, we test our turf before production to ensure the highest quality products. Nobody makes a quality pet turf like Custom Turf Outlet, we’ve been in the synthetic turf business since 1996. Through the years, our turf has been refined and improved, to include better & stronger materials for many different type of applications. To keep your pet turf clean and odor-free we include a rigid stainless steel tray. Don’t get your pet’s business on you, with a flimsy rubber tray, that bends with unpredictability. Our trays add to the simplicity and practicality you can expect from Custom Turf Outlet. The last thing you want is to pick up a wet rubber tray and having the urine pour out onto the floor, or worse, on you. 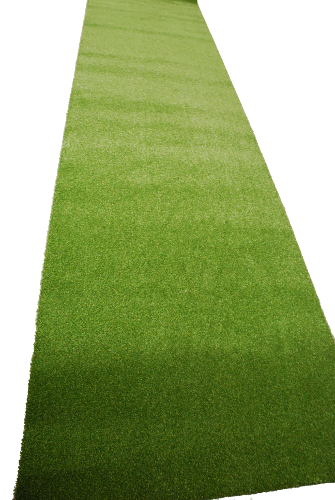 Nothing beats the Artificial Pet Turf from Custom Turf Outlet. 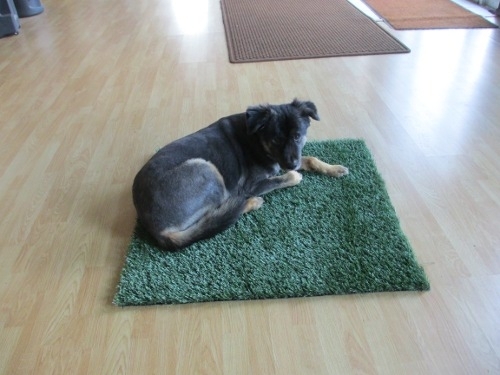 Our Indoor Pet Turf is great for apartments, kennels, homes, roof tops and more.